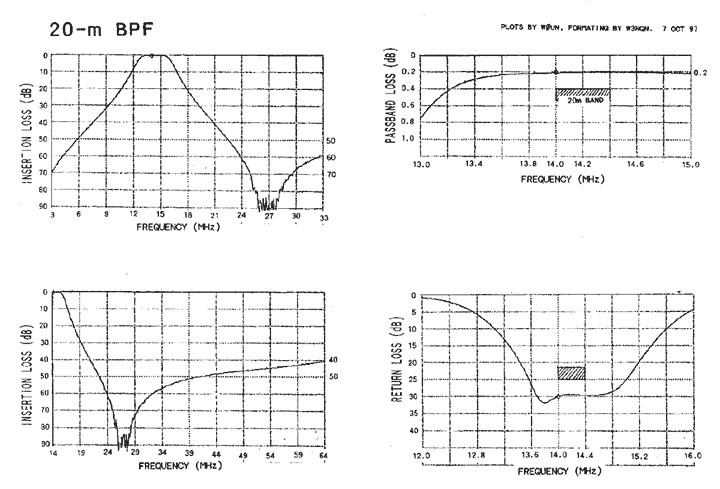 W3NQN Band Pass filters are the best single band filters you can buy. Each one is hand-made by W3NQN or by K7MI to W3NQN's specifications. The performance of these W3NQN design filters, regardless of who assembles them is the same. We will fill your order using the filters we have on hand when you place your order. K7MI's filters are those that have been used in our FilterMax units for years and we are now also shipping them in single band packaging. From time to time, we may be out of stock of one or more of them. If you are planning a DXpedition or a contest expedition where you will need these filters, please order in advance and let us know when you actually need to have them in your possession. We will work with you to meet your schedule. 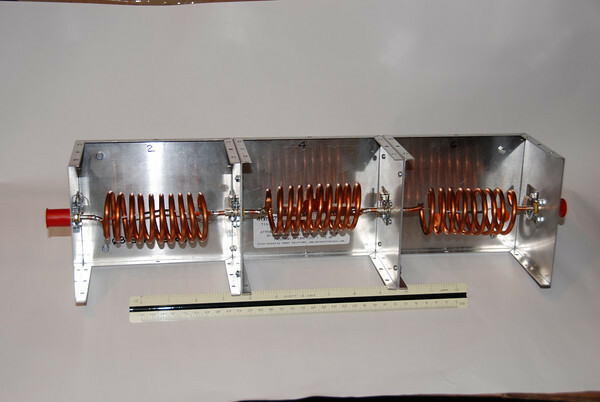 The 2 kW low pass filters and Broadcast Band (BCB) filters are all made by W3NQN only and should be considered as "special order" items that are not likely to be in stock. An interval of several weeks should be expected for delivery. 2000 W low pass filters for reducing harmonics. 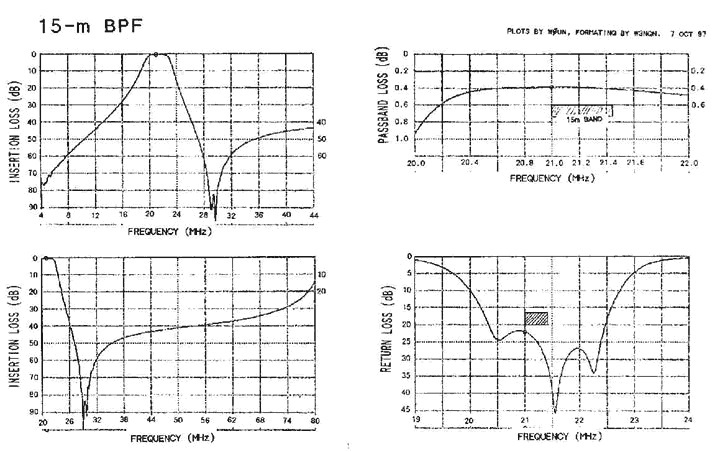 These filters and filter switching systems are based on the article in the May and June 1998 QST article by Ed Wetherhold, W3NQN. We know these filters achieve a level of selectivity and a level of low in-band insertion loss that will be the benchmark for all other filters to be measured by. 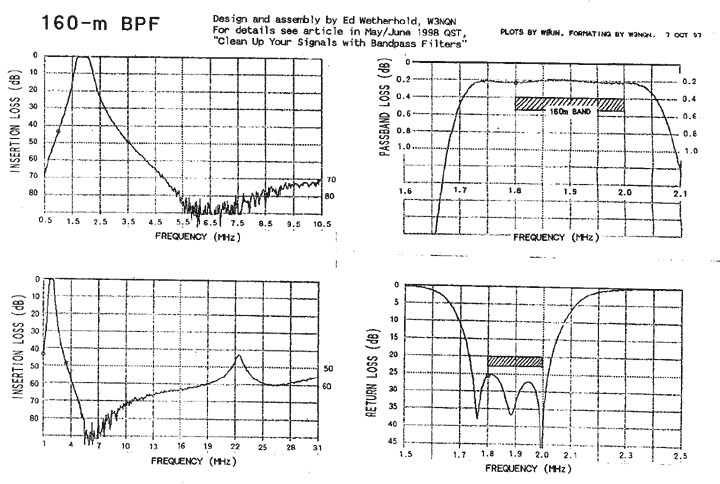 Below you will find detailed plots of the performance of these mono-band filters. The design is based on a three-resonator filter configuration and uses very high voltage, low loss, NPO ceramic capacitors, paralleled throughout to increase current handling capability and reliability. 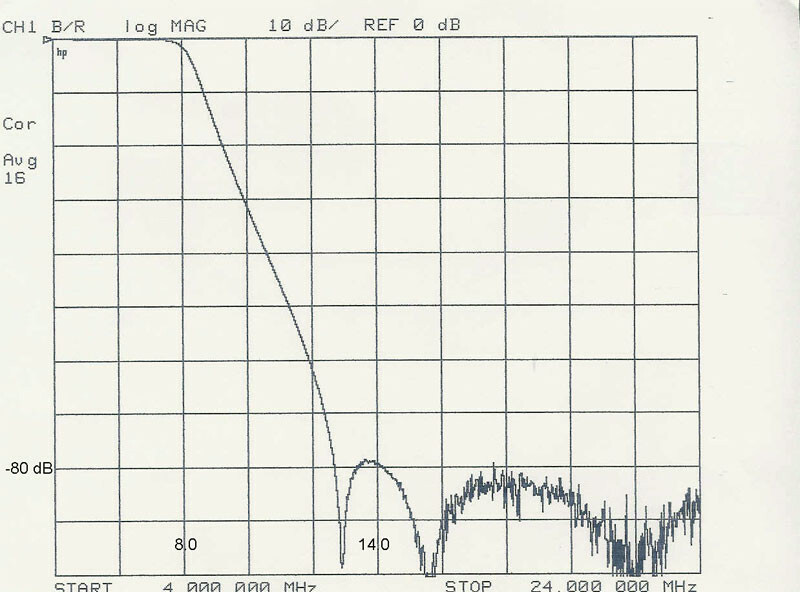 We will first review the mono-band filters, then we will show you systems that will enable the serious SO2R operator to achieve the highest performance possible in reducing harmonics, hash, phase noise, and probably save your receiver front ends. 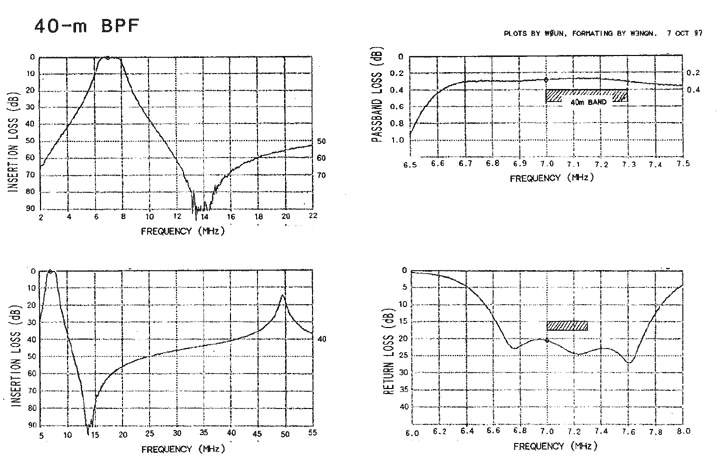 These filters are absolutely necessary to prevent receiver front end damage in any multiple HF radio environment. If you have trouble seeing the data just right click on the plot and move your curser to "save as". You can then download it to your system for viewing with your photo software or printing on your printer. I intentionally left the resolution high on these plots to allow you to view or print this data on your system at high resolution. You can also press and hold "CTRL" and use the "+" to zoom in and the "-" to zoom out. 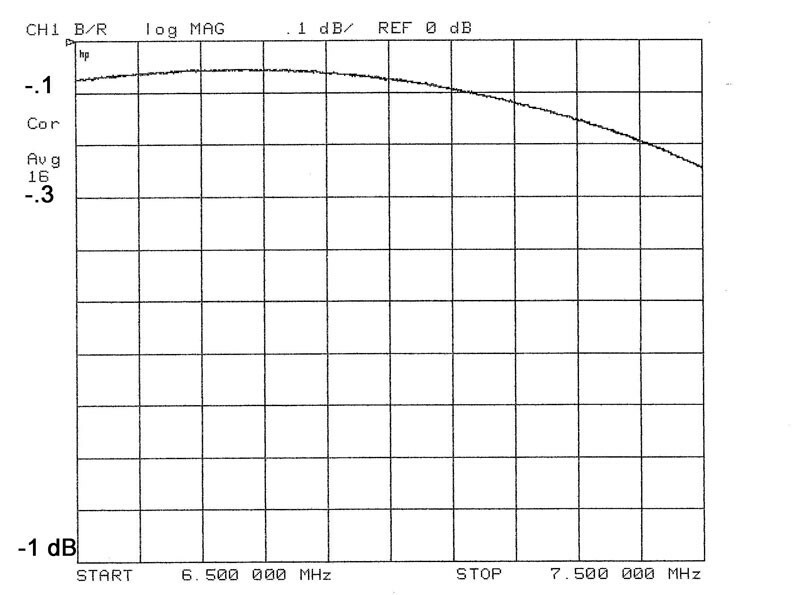 As can be seen the second harmonics are 70-80 db down from the fundamental and the insertion loss is ~.2dB. These numbers are twice as good as the nearest competitive filter. 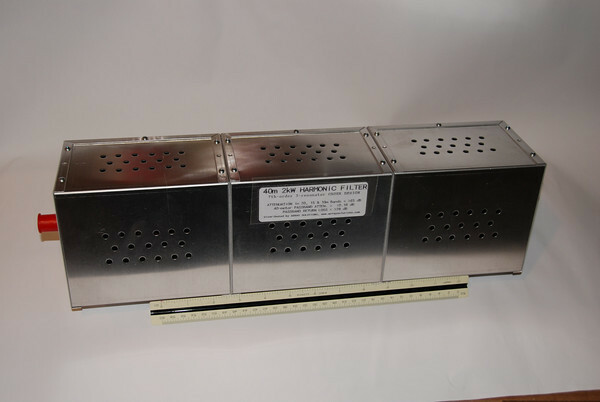 To make the filters more flexible for an SO2R type of operation it is necessary for the operator to be able to listen on two bands at the same time, and be able to switch bands quickly. A switching matrix can be added to a stack of six of these filters to accomplish this. We call it the Filter Master or FM-6. 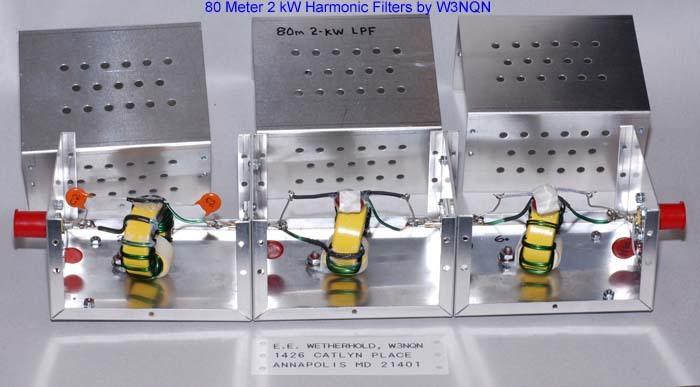 Two-kilowatt Amateur band filters are available to solve those difficult interference problems. These filters are meant to be placed at the output of the amplifier, or at the output of the SixPak antenna switch to add tremendous harmonic and hash reduction. Bands available 80m, 40m, 20m only. Improved Design and Power handling 160m thru 20m ! 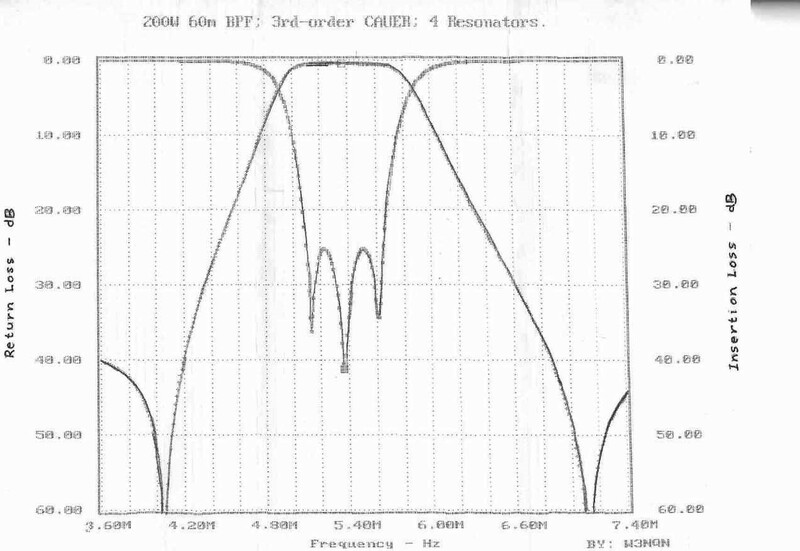 Insertion Loss (S21) and Return Loss (S11) plots of the 40 m (7 MHz) High Power Harmonic Filters. All models have similar plots. 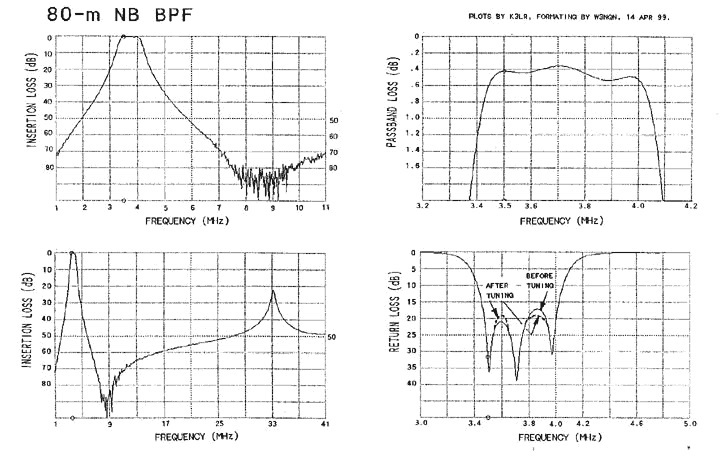 We have developed Short wave bandpass filters for military, commercial and marine shortwave communications. They have the same electrical performance shown in the plots above. But we can also design and manufacture special filters to your application. 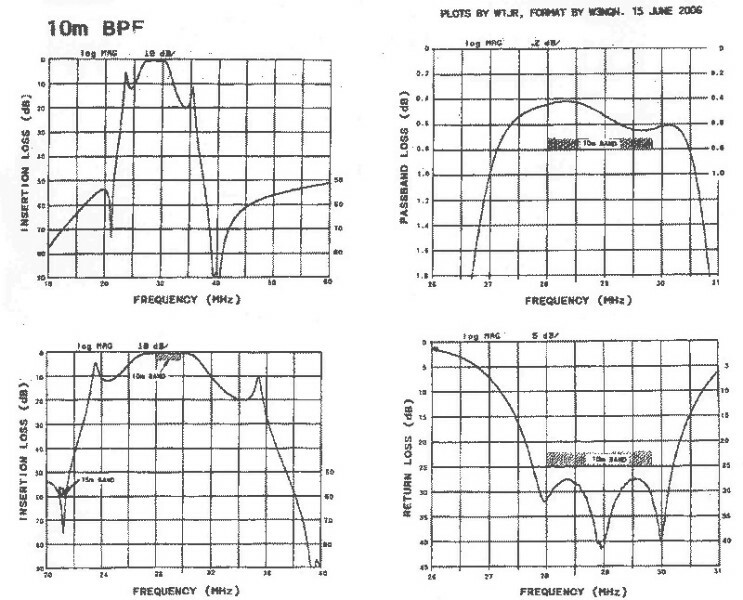 For instance we have a 2-30 MHz filter system that breaks up this range into 10 segments. Custom bandpass filters are now also available for taking out special interference problems as well. Such as a loud short-wave broadcaster who is de-sensing or causing IMD problems in an amateur band.